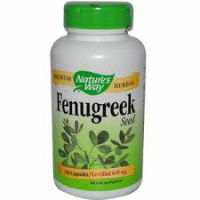 Fenugreek is a plant from which the seeds are often used to make natural medicine. This plant is known by many names, including bird’s foot, chandrika, bockshornsame, fenogreco, Greek clover, Greek hay seed, Greek Hay, methi, trigonella, medhika, hu lu ba, Egypt fenugreek and alholva. This herbal medicine is used for a number of different conditions but at the time of the writing of this review, there hasn’t been enough scientific evidence to consider it proven safe and effective for any of the purposes for which it is often used. While this doesn’t mean that it is not effective, it means that there hasn’t been enough study to show that it can do what is claimed to provide, to know how much must be taken for the best possible effect, to know what side effects it can cause, to know what contradictions it may have with medications or health conditions, or to know at what point it becomes toxic within the body. The most common reasons for which Fenugreek is used includes the treatment of: stomach upset, appetite loss, gastritis, constipation, atherosclerosis, certain kidney issues, tuberculosis, bronchitis, boils, mouth ulcers, beriberi, baldness, cancer, chapped, erectile dysfunction in men, hernia in men, diabetes, lactation in nursing mothers, gout, eczema and weight loss. The taste and fragrance of fenugreek both resemble that of maple syrup. For that reason, it is sometimes mixed with other medicines in order to cover up the taste of the original medication with one that is slightly more palatable. It is sometimes added to spice blends in food in order to give it a flavor closer to maple syrup. In fact, it is sometimes used in imitation maple syrup products. It is also found in some soaps and cosmetics. Some very limited preliminary studies have indicated that fenugreek may reduce the absorption of sugars from the stomach. It may also help to stimulate the production of insulin. 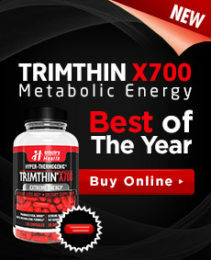 That said, it has never been proven to safely provide effects that will result in measurable weight loss. Fenugreek is considered to be likely safe when taking it in foods in normal amounts. Its leaves are eaten as a food in India. It is considered to be possibly safe when taken in amounts somewhat larger than would be taken in food, for medicinal purposes, for up to six months. That said, some of the side effects of taking fenugreek can include stomach upset, bloating, diarrhea, and urine or body odor that smells like maple syrup.